Other Notes: Minimum numbers required. All food and beverages must be supplied by Glenelg Golf Club. The Glenelg Golf Club hosts over 200 businesses conferences, seminars and events every year in its separate conference room overlooking the golf course. 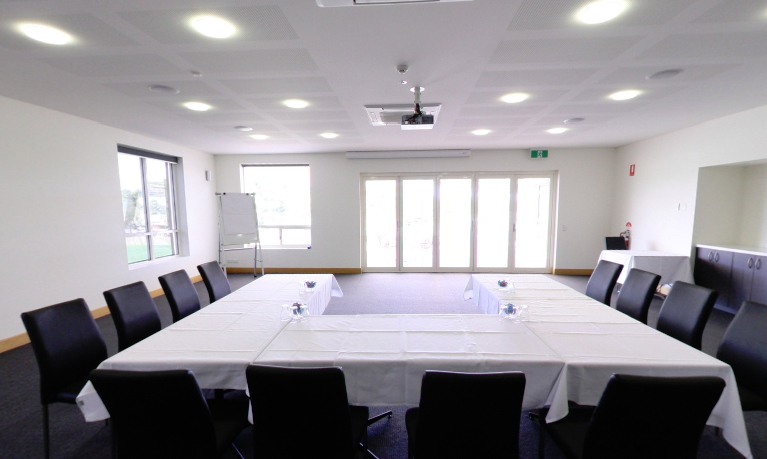 The room is bright and modern and all conferencing facilities are available from the venue, including microphone, whiteboard and flip charts, lectern as well as a projector and screen. The experienced events team will ensure your conference is a success. For something a bit different, you can even incorporate a round of golf into the package. Underage Guests: Underage are welcome as long as they are accompanied by an adult.